Heating installations are popular in Australia. When the cold season sets in everyone lights up their fireplaces and stays indoors. The cold weather should not stop you from relaxing out on your patio or having an outdoor dinner or evening party. There are numerous alfresco area heating options available in the market. These heating solutions are guaranteed to keep your patio just as warm as your living room. 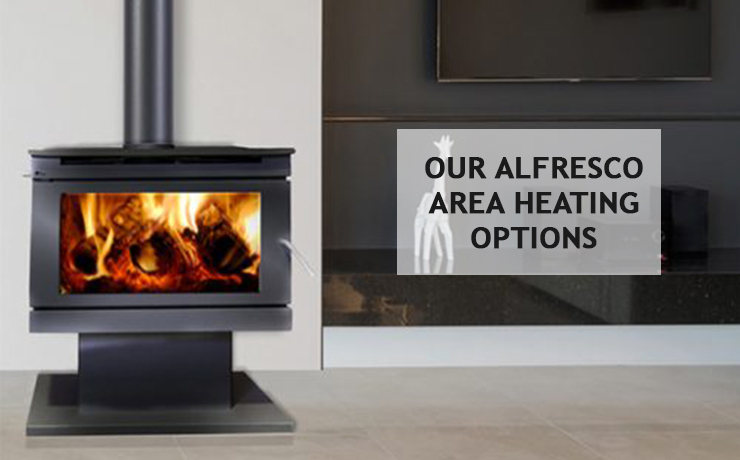 Alfresco area heating solutions range from wood-burning fireplaces to gas fireplaces. The designs of the installations vary greatly and some are customized to meet particular personal specifications. With these heating solutions, you can heat up the cold nights and spend your evening under the stars. For the best heating installations, there are renowned names in the market. One of the most advanced alfresco area heating solutions in the market is the Regency. They have a line of heating products that have a matchless reputation. Regency gas fireplace as an outdoor heaters installation option called the Regency HZO42 Outdoor Gas Fireplace. This new innovation came after the success of the Regency Gemfire series. The Regency outdoor gas fireplace has a beautiful design that is breathtaking. The design has contemporary styling that echoes the meticulous process of making such a build. The finishing of the fireplace also highlights the craftsmanship employed in constructing the installation. This fireplace delivers beautiful wide-angle flames amplified by a reflective stainless steel body with the choice of ceramic garden stones, reflective crystals or logs. Quality, style and durable outdoor function make this fireplace a perfect outdoor option. The Regency HZ02 Outdoor Gas Fireplace uses renewable energy in the form of natural gas or propane. This reduces the carbon footprint of your home and saves you the trouble of having a chimney or piling up firewood. The fireplace comes with a stainless steel firebox and faceplate. This enhances the heat distribution and adds to the look of the installation. The burner is covered with copper crystals and the fireplace has a tempered glass windshield. There is an easy to access on/off switch and the ignition is completely electronic. The fireplace comes with a seasonal weather cover and no venting is required. Depending on your personal taste you can have ceramic garden stones, crystals in various colours or a ceramic log set. For your outdoor living spaces, Regency has a modern heating solution called the Regency Plateau fire table. This sleek installation is ideal for entertaining guests. The linear design of the Plateau leaves plenty of room for family and friends to gather around and enjoy an evening on the patio. Sitting by the fire on your porch has never been easier. With just the flick of a switch, you can enjoy the ambience of a warm glowing fire in your own outdoor living space. This new heating solution brings comfort to outdoor living spaces and revamps the whole look of your patio. The Regency Plateau has fine finishing with porcelain tile tabletop and an optional tempered glass windshield. You can opt for vibrant crystals, driftwood ceramic logs or volcanic stones. The Plateau has long, lazy flames that create a dramatic central focus. It operates on propane and has an option to convert to natural gas. The fire table has a sturdy build with a stainless steel burner. It has an electronic ignition and a safety valve that puts out the flame. The Plateau comes with a seasonal weather cover that protects the burner when not in use. The Plateau offers an elegant heating solution that is relaxing and appealing. Next time the cold weather sets in, don’t be afraid to spend your evening on the patio. Alfresco area heating solutions guarantee you a cozy evening under the night stars.